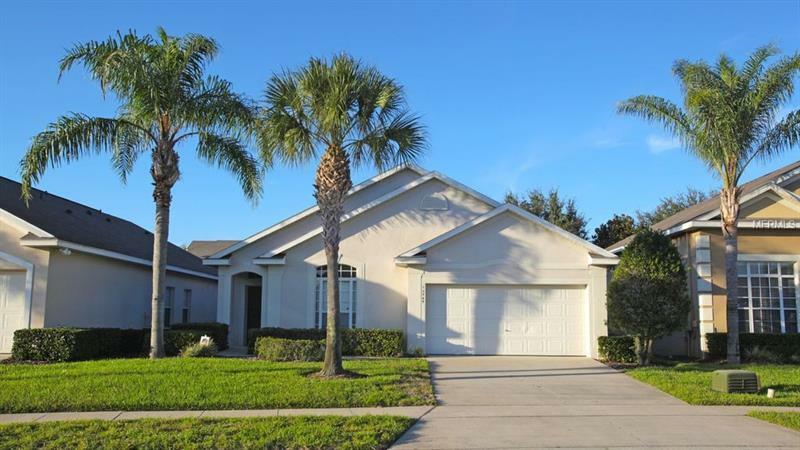 WOW - If you are looking for a fully furnished move in ready home this is it! The $222.50 HOA fee covers TV, Internet, Phone, & Lawn Care, plus the community features - Sand Volley Ball, Tennis Courts, Playground, Larger Pool, Exercise Facility. Come see for yourself - NEW Stainless Steel Appliances, Laminate Flooring in Bedrooms, Ceramic everywhere else, Pool Resurfaced 2017, AC replaced 2017. This would make a beautiful short term rental home and/or a family home with great school systems. 15 Minutes to Disney!